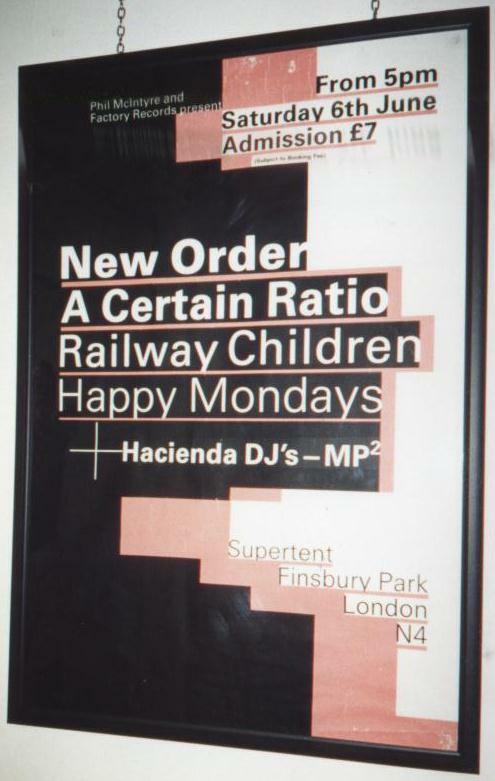 Poster (and backstage pass) for New Order gig at the Finsbury Park Supertent on 6 June 1987. Support was by A Certain Ratio, The Railway Children and Happy Mondays; DJ Mike Pickering. The 8vo-a-like poster and backstage pass (and presumably any other promotional or other material) were not designed by 8vo. The actual designer is unknown. 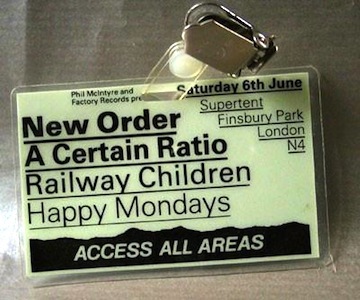 Thanks to A Certain Ratio for the pic of the backstage pass.